Lotions and creams can help heal the dry, cracked skin on your hands, but a remedy from your grandmother's day may make your hands feel even better. There’s no hard-core scientific proof that vinegar helps to heal dry, cracked hands, but this inexpensive product is recognized for its ability to restore the pH balance of the skin, helping it to retain moisture better. It may also help in exfoliating and softening the skin. Give your hands a dose of vinegar – apple cider vinegar to be exact – to aid in healing. 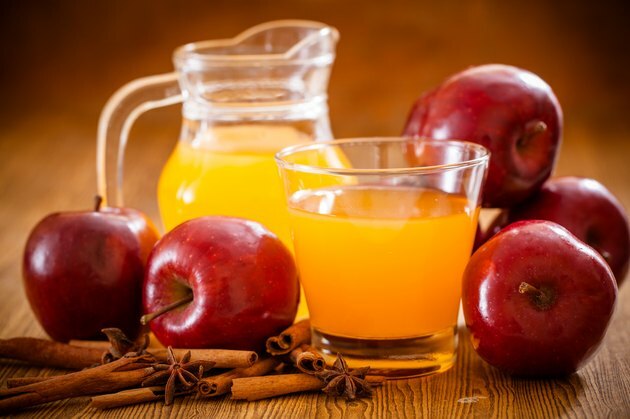 Mix 2 cups of warm water, 1 cup of apple cider vinegar and 3 tablespoons of olive oil into a large bowl. Place your hands in the bowl and soak for 10 minutes. Remove your hands, pat them dry with a soft towel and apply moisturizing hand cream. Fill the bathtub with warm water. Add 2 cups of apple cider vinegar. Soak in the tub for 15 to 30 minutes with your hands completely submerged. Follow up by rinsing your hands in cold water for about one minute, patting them dry and applying hand cream. Fill a bowl with ½ cup of cool water. Add 1 tablespoon of apple cider vinegar. Use a cotton ball to dab the mixture onto the dry, cracked parts of your hands. Do not rinse your hands. Apply the vinegar and water mixture several times per day to your hands.